I’m 32. I have to remind myself of this quite often, because I carry around an image of myself in my head, and in it I have the pristine body that someone lent me for a few weeks around my 19th birthday, healthily coloured skin and eyes unfaded by years of cynical underachievement. It’s not that I think things used to be better. I know it like I know that I could have done a job for Leyton Orient if that knee twang hadn’t done for my fledgling career. It’s not up for debate.Thing is, because I know it to be true, the introspective part of my soul knows that it’s balls. I mean, wasn’t everything better back then? And by “back then”, of course, I mean that indefinable time when things were just, well, better. Footballers never dived. The word “simulation” was exclusively used with reference to jumbo jet training devices that were probably programmed in BASIC. People had respect for one another. When Mister Whatever His Name Is, him with the black shirt and the whistle, made a decision… well, everyone did as they were told. And jumped to it. No codding. No nonsense. No haranguing of referees. Football was the sole occupant of a spotlight in which the light never faltered. Clean. Unsullied. Untainted by the shades of virulent red that bespatter its twitching corpse in the 21st century. And other mixed metaphors, ad nauseam. With the passing of this innocent, better time, the supporters’ respect for the beautiful game has been lessened. As club has grown, country has diminished. As England were skipping their way out of the 2006 World Cup on penalties, I received a phone call from an acquaintance. “It hurts more when Chelsea lose,” he said. Then he hung up. No one cares about England any more, except possibly David Beckham and, if you believe a succession of letters and comments on various websites yesterday and today, the fans of Arsenal FC. It’s moving to see the Arsenal supporters’ concern for that wounded animal, England FC. 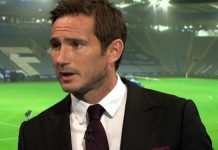 Among the many constructive suggestions aimed at Fabio Capello over this weekend was a firm belief that Chelsea’s centreback hoofed the ball upfield rather too often for their liking on Sunday. A real captain, if you read between the impassioned lines, would have slalomed the ball lazily out of defence before running to the opposing area and chipping a cross for Drogba to head into an empty net. Then there’s Terry’s demeanour. Far too often, we’re told, did JT26 thrust his oar into proceedings, A real captain, we’re told, should have stood 50 yards away from his teammates staring icily into the middle distance before sitting down in the centre circle and having a bit of a cry. That would have been, y’know, classier. People carry club grievances into the international arena. This is, of course, perfectly normal: blinkered-ness is one of the game’s most trusted henchmen. How else can you explain the howls of fury directed at Cristiano Ronaldo after the 06 World Cup when any cretin could have looked at Wayne Rooney and said “hang on a second, didn’t the fat idiot on our team get himself sent off, thus at one stroke depriving us of our key attacking player AND reducing us to ten men?”. How else can you account for the quite astonishing bile directed at the thoughtful and articulate Frank Lampard, England Supporters’ Association Player of the Year for 04-05 and 05-06? This sort of thinking manifests itself as boos during home England games directed at England players: both Lampard and Ashley Cole have had their share, as has Peter Crouch, although the latter might be offending everyone from a purely aesthetic point of view. It’s almost as if the crowd were broadcasting their desire to see a player fail and vindicate their hatred of him in the process. It’s the same sort of “thinking” that drew Mourinho chants from a (thankfully) reasonably small minority of the crowd in SW6 on Sunday. What the ideal outcome is, I’m not quite sure. Perhaps if these guys chant loud and long enough, José will be teleported back into the dugout through an effort of sheer will. And, presumably, that same willpower will buy out Roman’s investment and allocate it fairly between all those brave enough to really want the best for Chelsea Football Club. Admirable. Click those Reebok Classics together three times and believe – really BELIEVE – in José, and it shall all be granted. And then there’s the glorious spite-a-thon that brings the sentence of the game to its full stop. On Sunday, an Arsenal fan told me that Chelsea had only won because we “used the long ball”. He has a point, to a certain extent: teams had previously looked at Arsenal’s stained-glass window of a passing game and then taken a sledgehammer to it, savaging Flamini and Fabregas alike to throw them off their game. Turns out that all they needed was the diamond-cutter of Didier Drogba, even if the supporting cast of Cole, Lampard and Ballack had offered up so much promise for a decent scoring revival as we approach May. Elsewhere on this site, my Tottenham-supporting colleague chose to commemorate Chelsea’s 4-4 draw at the Lane (one of the best games I’ve seen this season) by whinging at Chelsea’s supposed strong-arm tactics. He singles out Claude Makelele for late challenges, the Chelsea defence in general for intimidating attackers by getting all up close and personal with them, and John Terry in particular for kneeing Pascale Chimbonda in the head. He sounds, in this, rather like an Arsenal fan. So what, throughout all of this, have I learned this weekend? Well, I’ve learned that Arsenal fans don’t like John Terry. I’ve learned that it’s somehow unfair to beat Arsenal, even if you don’t resort to kicking them. I’ve learned that Didier Drogba will be allowed to get away with saying whatever the hell he likes about his club because, damn him, he goes and does things like win games. I’ve learned that there are at least a thousand Chelsea fans convinced that the team will perform better if they vilify the manager. And I’ve confirmed that it really was all better back then. People may not have had dishwashers, or baby Bentleys, or Rolexes the size of a house. They may have had to survive without the DVD box set of The Wire – and I don’t really see how that’s possible – but they had respect. Unless it’s all just a fairy tale.